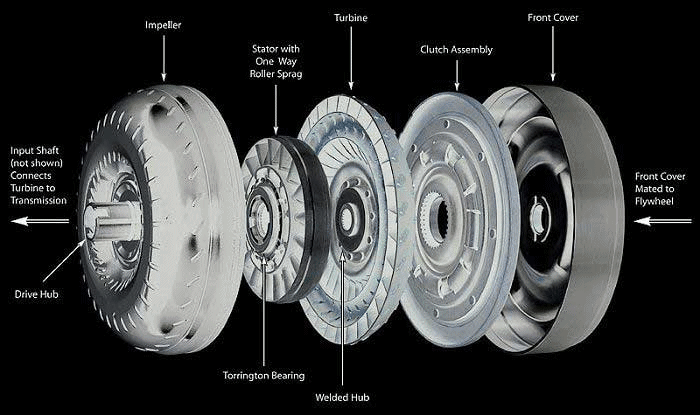 A torque converter is a type of fluid coupling which transfers rotating power from a prime mover, like an internal combustion engine, to a rotating driven load. 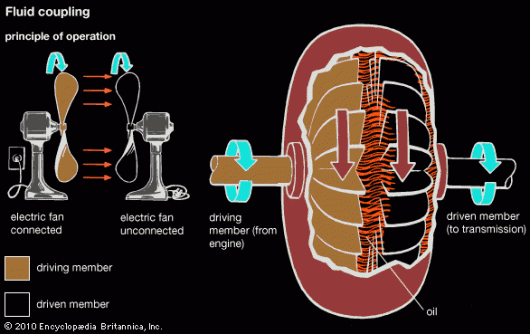 In a vehicle with an automatic transmission, the torque converter connects the power source from the load. It is usually located between the engine’s flex plate and the transmission. The equivalent location in a manual transmission would be the mechanical clutch. The torque converter is the part of your car that handles how much fluid is passed on to the automatic transmission and allows your engine to continue running while at a complete stop. This component is really important, and if it happens to malfunction it could potentially cause erratic behavior such as shuddering and slipping. The difficult thing is though, diagnosing the exact cause of torque converter problems is not easy. There are a ton of potential reasons that could be causing the malfunction, and your torque converter might not be to blame. So today, we will go over common torque converter problems and its causes. It can be difficult to pin point a transmission problem as an issue with the torque converter but there are some tell tale signs you should be aware of. Symptoms of a bad torque converter include overheating, slipping, shuddering, dirty fluid, high stall speeds, or strange noises. On most occasions, the torque converter will not be the cause of the problem so don’t rush to any conclusions until you get your transmission checked out first. Overheating — If you glance at your temperature gauge and it happens to be overheating, this could mean that your torque converter is malfunctioning. Overheating is probably the most common sign of torque converter problems, as a drop in fluid pressure will cause the transmission to overheat. It could also be a sign of low fluid levels or a malfunctioning solenoid, so check that first! Transmission Slipping — A problem with the torque converter will often show itself fairly quickly, as fluid cannot be managed correctly. If not enough or too much fluid is passed to the transmission, it can cause gears to slip and you will often feel a loss of acceleration. You might also notice a sudden drop in your car’s fuel economy. Low or ineffective fluid can also be the culprit, so you need to check the fluid first if you experience any slipping. Shuddering — If you start to feel shudders when driving about 30 to 45 MPH, this could mean that you have torque converter problems on your hand. It will often feel like running over rough road or bumps and you will definitely notice it when it happens. Shuddering comes and goes without warning, so once you feel it the first time you should get your transmission checked out as soon as possible. Don’t wait for it to happen again. Contaminants in Fluid — If you check the fluid and there are large amounts of black material, it either means your transmission or the torque converter clutches are damaged. You should perform a fluid change first, run your car for a while, and check back again. Increased Stall Speed — A bad torque converter will take the transmission longer to engage the engine, resulting in higher than normal stall speeds. You can do a stall speed test to diagnose for any torque converter problems, but you’ll need to know your torque converter and engine’s stall speed specifications first. Strange Sounds — Any foreign sounds such as clicking or a revving noise could indicate a bad torque converter. This simple test can help to diagnose potential problems with the torque converter. What you are going to need to do is start your car while in the driver’s seat and let it idle for a few minutes. Afterwards, step on the gas lightly a few times, let it come back to idle, press down on the brakes, and then shift into drive. During this period, you are going to want to listen for any strange sounds such as clicking or revving or if you experience any lurching. If not, proceed to shift through all the gears including reverse and try to notice for any of the aforementioned signs again. Finally, drive your car and test for the same things as well as shuddering or slipping. There are a few reasons why problems can occur. Don’t assume what the problem is until you have your transmission looked at, but here are some general ideas of what it could be. Damaged needle bearings — This is a common problem you’ll see, needle bearings are what separates the stator, impeller, turbine, and converter housing. If they happen to become damaged, it will cause the transmission to make strange noises while driving. 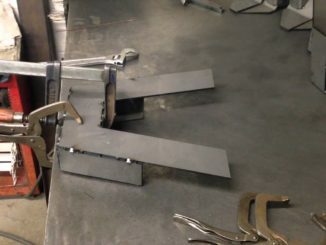 This is because there is metal to metal contact between the parts in the converter, which in turn creates metal chips that the transmission fluid picks up and cycles around the transmission. Damaged torque converter seals — A damaged torque converter seal will allow fluid to leak out of the converter which will cause a number of problems, such as overheating, slippage, and shifting problems. The seal will need to be found and replaced. 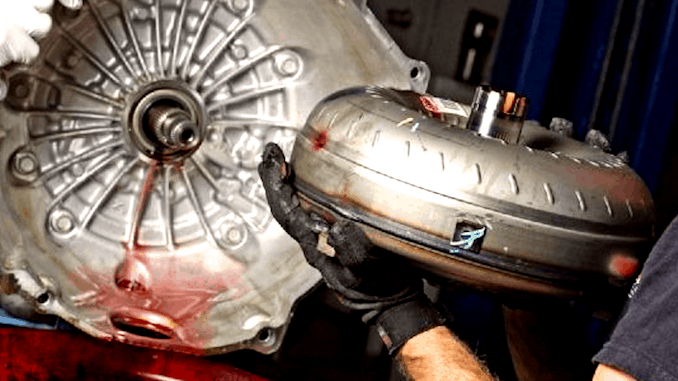 Damaged torque converter clutches — Just like with manual transmissions, automatics have clutches too although they are located throughout the transmission as well as part of the torque converter assembly. Torque converter clutch failure will occur when it becomes jammed from locking up due to distortion, or if they burn from high heat temperatures. They can even break under severe conditions. If the clutches become stuck, your car will stay in gear even when you come to a complete stop. Torque converter clutch solenoid — The torque converter clutch solenoid is an electronic component that controls the amount of fluid that is passed on to the torque converter clutch. If it malfunctions, too much or too little fluid will be released which will cause abnormal fluid pressures. This will lead to irregular behavior such as poor fuel economy and stalling. Torque converter replacement should always be considered if your current transmission’s torque converter has sustained heavy damage. Oftentimes the cost of repairing a damaged torque converter can be more than replacing it entirely, so make sure you get a professional opinion on the next best step. If you are looking to have your torque converter repaired, Tri Component offers quality torque converter and transmission parts for many automatic transmission models. 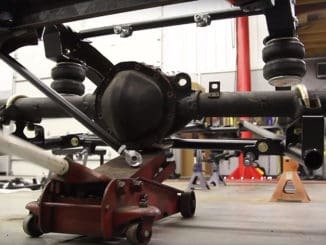 But the way we look at it—whether for repairs or replacement—the transmission will have to be removed either way in order to reach the torque converter. Replacing the stock converter can also help to improve vehicle performance with smoother launches from dead stops and better durability. If diagnosing the problem and repairing it takes too long or costs more than replacement, then we suggest purchasing a replacement torque converter and paying a repair shop for labor to replace it. Torque converters such as the B&M Tork Master series is a popular choice for most vehicles, as it provides optimal stall speed for the majority of stock cars. Contact your vehicle’s manufacturer as well as the torque converter manufacturer to get the best advice. They’ll know exactly which torque converter you will need if you provide them with the specifications of your vehicle. The torque converter’s stall speed should be rated about 500 to 750 RPMs below your engine’s max torque RPM. A camshaft with specifications of less than 220 degrees duration (which most vehicles have) means you won’t need a torque converter with more than a 2400 RPM stall speed. 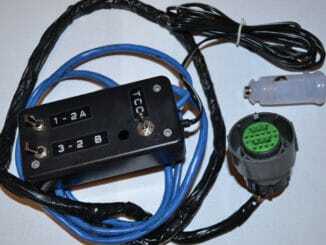 Most light cars perform better with a 2400 RPM converter as a 2000 RPM converter requires more braking effort.